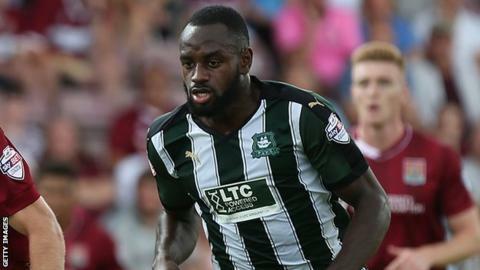 Crystal Palace midfielder Hiram Boateng could return to Plymouth on loan, according to Argyle boss Derek Adams. The 20-year-old rejoined the Eagles last month after spending the first half of the season at Home Park. "I think there is a good chance of him coming back to us before the end of the season," Adams told the club website. Boateng, who made his Palace debut in an FA Cup tie at Stoke in 2013, impressed in his 19 appearances for the League Two high-fliers, scoring twice. "He is a player we have missed, from the point of view being in the dressing-room - we have missed having him around - and we have missed the competition for the place as well," Adams added.